The Great wall of China is one of new seven wonder’s of the world. 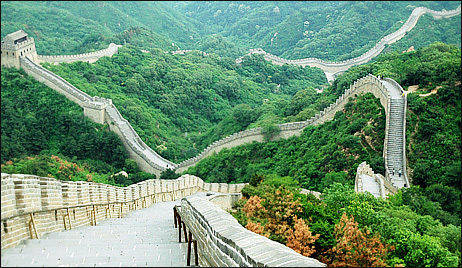 The Great Wall of China was build about 2000 years ago, by Qin Shi Huangdi who was the first emperor of China. It is the fortifications made up of stone, brick, wood and other materials. It is a wonderful fact that it still exits without damage proving the mental and physical strength of our ancestors in the early era. Some of the portions such as top is not recovered but all other portions are strong and gives a fantastic look. It length is about 20,000 km. It was build as a defense against north. The emperor joined the four walls to form one. The chinese culture is reflected behind the wall, there lies the story of the Meng Jiangnu whose curse because of the her death of her husband during the construction of the wall damaged a section of the wall later. It is a UNESCO designated World Heritage Site from 1987.